The flames of Maria Callas. Above the clouds in an airplane view. 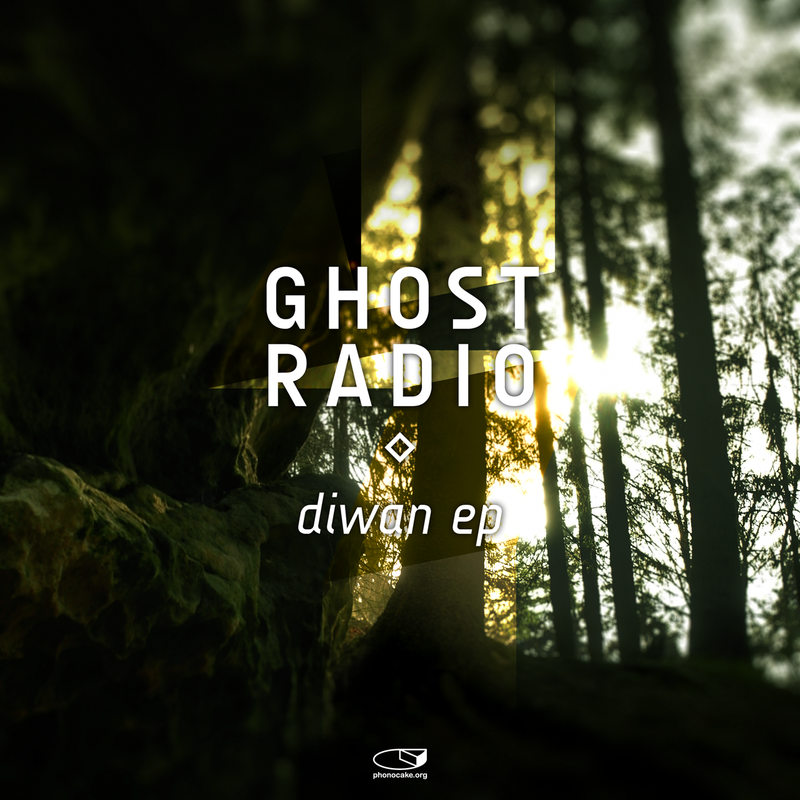 Ghosts fly between mountains of bass. Tablas, field recordings, voices, bells: Ghost Radio converts his environment into music, backed by an immense Bass. The tracks were created partly in a tunnel in Spain or with friends in India. The Diwan EP shows Ghost Radio's great love for the sound that we have called Dubtechno and dub house for the last ten years, interpreted in small-scale micro-worlds of sound and sound events. All music, composed, mixed and mastered by Daniel Williams. Envy features the voice of Sandra Francais. Dedicated to Iris, with love. Artwork by Sebastian Drichelt; Text, orga and translation by parmon. archive.orga by rh.